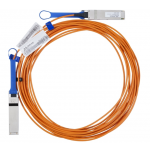 Mellanox cables are a cost-effective solution for connecting high bandwidth fabrics, extending the benefits of Mellanox's high-performance InfiniBand and 10/40/56GbE adapters throughout the network. In addition to meeting or exceeding IBTA and IEEE standards, Mellanox Certified cables are tested on Mellanox equipment to ensure optimal signal integrity and the best end-to-end performance. 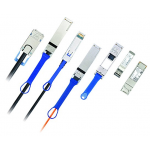 Mellanox optical solutions provide long range scalability for all topologies and utilize innovative optical technologies to enable extremely high signal integrity and reliability. 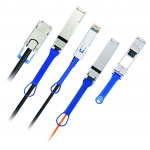 Mellanox assembled QSFP cables are available for short, medium and long range lengths. 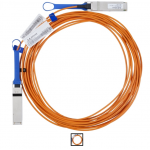 Mellanox SFP+ optical modules support LC-LC fiber connections for Enterprise (10GBASE-SR) or long distance (10GBASE-LR) applications. 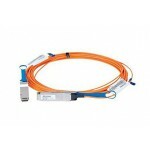 Mellanox® MC220731V-075 compatible 56GBase-AOC QSFP+ to QSFP+ direct attach cable (850nm, MMF, 75m). 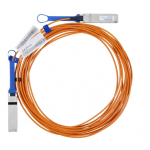 A 100% Mellanox® compatible 56GBase-AOC QSFP+ to QSFP+active-optical direct attached cable that operates at 850nm over multi-mode fiber, with a maximum reach of 75.00m (246.06ft). 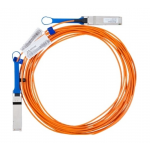 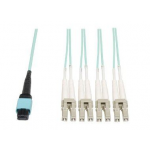 This Mellanox® compatible active-optical cable has been programmed, uniquely serialized, and data-traffic and application tested to ensure it is 100% compliant and functional. 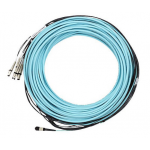 Our direct attached cable will initialize and perform identically to Mellanox's cable and is built to meet or exceed Mellanox's specifications, and comply with MSA (Multi-Source Agreement) standards. 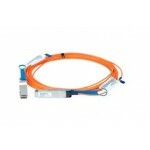 The actual part shipped may have a different part number, but will be functionally identical and 100% compatible. 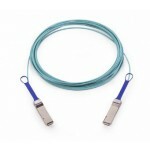 Trade Agreements Act (TAA) versions of this part are available.